Email plays a big role in the lives of digital marketers, both for internal use and for email marketing initiatives. You probably generate a lot of emails every day. Even though there are plenty of successful tactics, strategies, and advanced email software platforms available, you’re bound to make a mistake. Mistakes are a necessary, inevitable part of the marketing world. Without making mistakes, how would you evolve your strategies over time to achieve your ambitious goals? But the email marketing mistakes we’re addressing aren't simply misspelled words, grammatical errors, or misplaced graphics. The mistakes we are addressing are costly and easy to overlook. Here are nine examples of the most common email marketing mistakes we've seen last year and solutions for avoiding them in 2019 and beyond. This is absolutely the fastest way to destroy trust in your brand, and we see it all the time. Headlines that overhype what's in your email are really spammy. Nothing is worse than promising one thing with your subject line and then changing the offer when an unsuspecting reader opens it with anticipation. This can instantly kill trust. Solution: Honesty Is Your Best Policy. You might sacrifice a few opens, but keep your subject line relevant and be honest about your offer. You need to maintain the integrity of your brand. This way, when they open your email, they at least get what they expect based on what they read in your preview text (more on that later). They will remember you if you live up to the expectations you set. When an email recipient gets an email from “noreply,” it sends a message that implies disinterest. They might interpret your anonymous email blast as you saying, “We want to force our messaging onto you,” making your content feel overly pushy. Solution: Build a Human Connection. Email marketing is an opportunity to engage with a potential customer that many companies simply miss. Give your readers a way to connect with a real live person on your end. 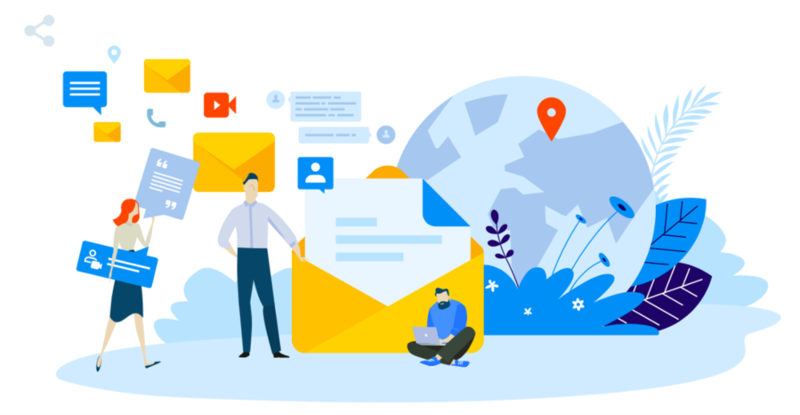 If an email recipient can contact your company and have their questions answered, they’re going to remember that human connection associated with your brand, bringing them one step closer to conversion. Also known as the pre-header, this portion of your email provides a short summary of the content of the email, usually displayed right next to or under the subject line. While the real estate is limited, you can get a lot of value out of a kickass preview text. But most companies don’t add any preview text, or they just dump some general message in it. Remember, your recipients are going to give their inbox a quick glance. You have minimal space and time to encourage them to open your email. Solution: Entice Recipients to Read More. Highlight the offer and consider including a timeframe to create a sense of urgency. Get creative and witty – use fun emojis and showcase your personality in a fun, memorable way. Take the cliffhanger approach: Break off the pre-header content at a point that makes the recipient want to read more. Build off your subject line – both the preview and subject line need to work together to tell a cohesive story based on the offer and content within your email. Nothing is worse for your brand than sending a follow-up email that offers nothing. 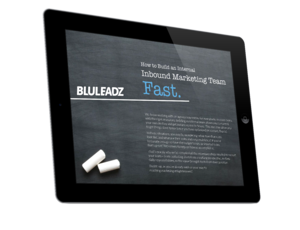 This is an overused, broken outbound mentality that will hurt each of your email marketing campaigns. If a customer has taken the time to sign up for your service, subscribe to your newsletter, or purchase your product and your follow-up email basically says, “Thanks, click here and buy our product,” it's a missed opportunity. Solution: Commit to Delivering Value In Every Engagement. As you build every email message, you should ask yourself, “Does this deliver value to my audience?” This shift in mindset is crucial for evolving into the world of inbound, where human, helpful, and holistic organizations thrive. Send an email that provides so much value that they read it, share it, and are excited to use your product or service. This is how you earn loyalty from your customers. Even for prospects who never make a purchase, you should still focus on adding value at every touchpoint. You will stand out to your audience the more you focus on their unique pain points and personal goals. If your email focuses on your product, you're making a big mistake. Email should serve your customer, not your product. Again, this is a value proposition; your customer is the most valuable asset of your business. By focusing on the product and not meeting the needs of the person reading the email, it comes across as salesy, not helpful. Solution: Build Your Campaign Around the Customer. Focus on the needs of your audience first, then address how what you are offering can meet those needs. Always give them more than they expect, especially when they are paying you with their time. You should be considering how relevant and impactful each message is. The best way to deliver the right content to the right people at the right time is by building out a segmentation strategy, which leads into the next email marketing mistake. Even with all the advancements in email marketing and technology, companies still fall short of making their audience feel understood and valued. If your campaigns are based on the quantity over the quality of emails sent, you’re forgetting this common bit of wisdom every business needs to follow – put yourself into their shoes. This kind of empathy and attention to detail takes a little time, but the impact it has on open rates is astounding – Mailchimp’s research found that segmented campaigns earned a 14.31 percent higher open rate than non-segmented campaigns. It’s pretty obvious – segment your list of contacts! This might require a good cleanup of your CRM, but it will pay off big in the end. Dividing lists based on demographics, like age, gender, and company position. Organizing customers based on their previous purchase behaviors. Segmenting contacts based on lifecycle stage within the buyer’s journey. The biggest mistake that's often made when it comes to marketing emails is sending out a flat email that reads like it was written by a robot. People joined your list because they liked your viewpoint or the voice of your content. If they want overly generic, dry content, they can find that with your competitors. You need to stand out, or your subscriber list will fall apart. Solution: Shine Through Your Content. Be yourself! To guide your audience through their journey, double down on the human element by letting your voice and personality shine through in a genuine manner. Commit to being a company that tells your story in a personal way. People are interested in the human connection, especially in today's world of computer “friends.” Give them a view of who you really are, use humor, and be sincere. Often, marketers will cram way too much into an email. Usually it's a fear of losing subscribers. And that fear becomes a reality when you’re trying to direct recipients to several landing pages at once. Don't force readers to decipher your message, and avoid overwhelming them with so many ideas. Email newsletters are often the worst. You want to give them all the updates and promote every new offer, but fight this instinct. Face it – they don’t care about every little thing your company does. Solution: Keep It Simple for Your Readers. Keep your message clear, and stick to one call to action per email. Send your reader to one landing page and include a single call to action there. With a CTA, you're clarifying your offer in a direct way and explaining the action requested to your reader. It will make it easier to convert and improve your conversion rates. Many marketers supply too much information. No one wants to spend 10 minutes reading a novella-sized email, only to find out it doesn't contain anything relevant to their needs. They will associate your brand with bloated, overly dense content that wastes their time – a surefire way to lose them forever. Solution: Write Content With One Goal in Mind. Keep your emails concise and relevant. Email marketing is about building relationships, not telling your life story. If you have a great story to tell, break it up into a series of emails. Pick a goal, and write a simple, short email that tells the reader exactly what their next step is. Make it engaging and fun to read, and make sure it takes a couple of minutes to read and has a clear CTA. Email marketing can be either an extremely effective means of communicating your message and building relationships, or it can be the fastest way to turn off a potential customer. We all make the occasional spelling or grammatical error, (although that's what spell check is for!). These nine mistakes are big ones that are easy to overlook, but they’re even easier to avoid. Take some time, put some thought into your message before you hit send, and keep it real. Then sit back and watch your engagement and conversions grow!